Your guests race through 11 intense challenges in an 80' run per lane. 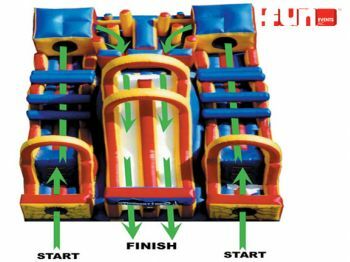 Participants jump, climb, crawl, squeeze and slide their way through a cacophony of inflatable obstacles. The inflatable obstacle course will get your heart pumping and adrenaline rushing!